Add an elegant twist to your room with this premium hand-tufted area rug. With the help of the skilled artisans, New Zealand wool is processed by hand to create the dyed yarn that gives this rug its movement and dimension. 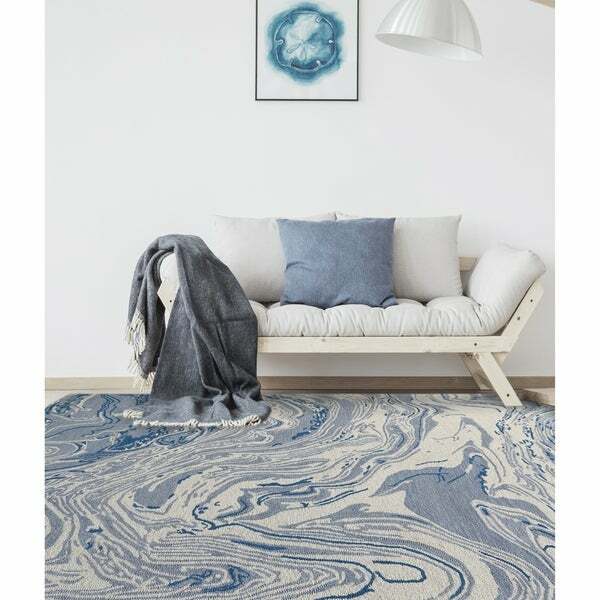 Featuring a marbled, stone-like design and a micro-looped, low pile height perfect for any setting, this rug is sure to become a treasure in your home. Dimensions 90.0 In. X 60.0 In. X 0.45 In.